Preheat oven to 450 degrees. Toss carrots with oil; season with salt and pepper. Place on a baking sheet. Roast, tossing once, until tender (about 30 to 35 minutes). Meanwhile, melt butter over medium heat in a saucepan. Remove from heat, and stir in bourbon and honey. Return to heat, and bring to a boil (stirring continually) until mixture is syrupy (takes about 5 minutes). Drizzle syrup over carrots; toss to coat. Bake 5 to 7 more minutes or until carrots are crisp-tender. Serve. Honey isn’t just a sweet treat; it has powerful medicinal uses so make sure you choose pure one. 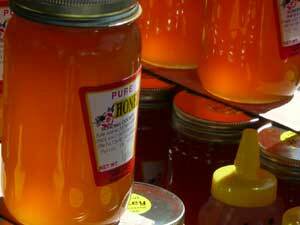 If you like their honey and you are in my neck of the woods some time, check out The Honey Ladies here in the bay area!